I can’t imagine how long this video took to make. Ok Go has always done some phenomenally good videos and has long since achieved geek superhero status, but this one really takes the cake. It’s full of optical illusions and camera tricks and perspective changes. It’s incredibly creative stuff. Each shot must have taken forever to set up. And that’s the brilliance of it – this video highlights how very cool the rewards can be if you stick with something obsessively and to perfection. It’s almost like a recruiting video for A/V nerds. Oh, and the song is pretty good, too – has a nice ’80s vibe to it, which is back in right now, isn’t it? This show actually aired a year ago on PBS, but I just found it on Amazon Prime recently. 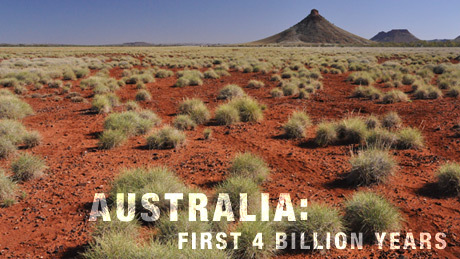 It’s a NOVA miniseries, and it covers four billion years of Australia’s history in four episodes. We just finished the fourth episode tonight and the consensus in our house was that it’s fantastic. We will definitely be re-watching this one. The series begins with the formation of the planet and continents, and ends with early human history. This show has something for everyone to love – both the adults and the four-year-old were completely captivated. This show has dinosaurs, geology, marine biology, you name it. Seriously good science-y stuff. The four episodes are titled “Awakening,” “Life Explodes, “Monsters,” and “Strange Creatures.” I learned a lot watching each one. My husband and I frequently found ourselves uttering things like “cool” and “I didn’t know that!” throughout each episode. The show has great cinematography and really good CG that blend fairly seamlessly. There are frequent transitions between showing a fossil and a live animation of what the creature or plant likely looked like. They also do some neat shots where they show a now-dry lakebed or sea, and then a view of what it looked like when under water. The only irritating thing was this recurring aside where they ‘drove’ through history, complete with cutting to host Richard Smith driving along a dirt road, and nausea-inducing spinning shots of the car to simulate moving through time to the next era. Could definitely have done without that part. If you or your kids are fans of geology, history, paleontology, biology, zoology, archaeology, all things Australia-related, or even something more obscure like paleoentomology, this show has something for you. We really like nature and science shows in our house, and this one was the best we’ve seen since Planet Earth. And Richard Smith’s voice is almost as captivating as David Attenborough’s. If you have Amazon Prime it’s free on there, or you can watch on the PBS website here. It’s also available on iTunes and DVD. Lots of people warned me about the song, so I sort of knew what I was getting into with The Lego Movie. I was not prepared, though, for multiple kids to be shouting, “Everything is awesome!” at the tops of their little lungs in the parking lot as we all walked back to our cars, and their horrified parents tried to shush them. It’s really that much of an earworm. And yes, it is certainly still running through my head as I write this. I love that the 1980s space lego guy got to be an important character. I love anything voiced by Morgan Freeman. And I love Legos. So this movie was something I went into expecting to like, at least a little. The ‘life lessons’ and ‘good triumphing over evil’ portions that are obligatory in an PG-or-less rated movie were presented with a little too much saccharine for my taste, but it definitely could have been worse. The love story subplot was particularly sickly sweet, but at least had the comic relief of Batman. 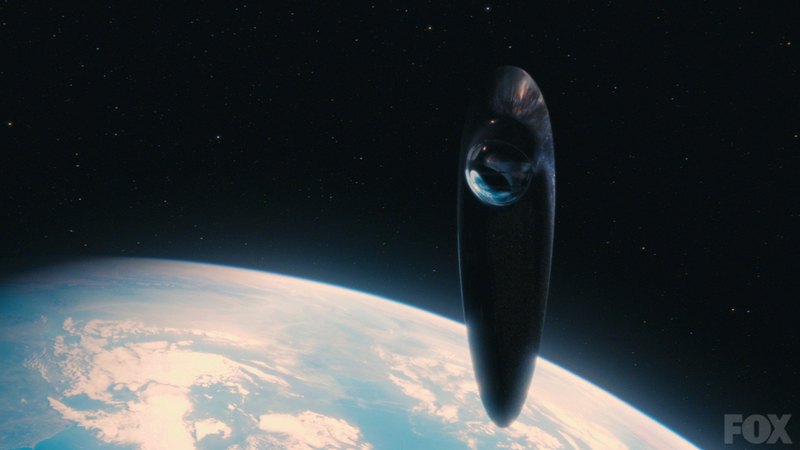 This is a very visually stimulating movie, something that always gets bonus points in my book. The various Lego worlds and the things the master builders put together are, to quote the song, awesome. The voice actors are great, and you will hear many familiar voices. The Star Wars actors actually voicing their Star Wars characters (Billy Dee Williams as Lando Calrissian and Anthony Daniels as C3PO) was an especially nice touch. The standout by far was Liam Neeson as Good Cop/Bad Cop. Such a great character and really well voiced. The plot was fairly predictable, but with enough little twists and comedic asides to make it stiff fun to watch. For the parents who grew up loving and playing with Legos, the movie has a lot of nice nostalgia moments. This is also a movie I could certainly watch again, which is a lot more than I can say about the last two movies we saw together (The Nut Job and Walking With Dinosaurs). Overall, PG movies don’t get much better than this. But seriously, you will never, ever, ever get that song out of your head. Don’t say no one warned you.